You’d be hard-pressed to find an NYC girl who isn’t feeling the combat boot trend that’s been everywhere recently. The reasons are pretty clear: They’re cool, edgy, weather-appropriate, and, due to their flat nature, actually comfortable for running around. The ideal New Yorker shoes, right? Well, as it turns out, L.A. girls are all about the silhouette as well. Sure, utility boots aren’t the first shoe style that comes to mind when thinking about people in Los Angeles, but after scrolling through Instagram, it’s clear that many are trading in their go-to ankle boots for this forward silhouette instead. 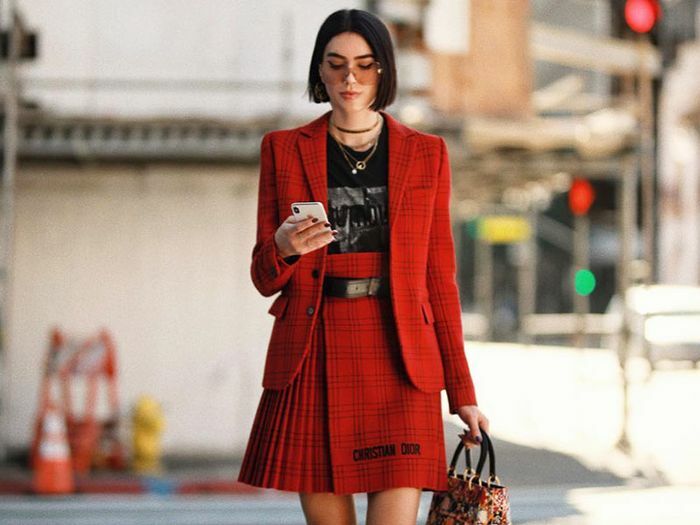 Showcasing this further, we rounded up stylish women in both L.A. and NYC wearing the shoe trend of the moment to inspire you to test out the look. We even shopped out some of our favorite styles right now for when you’re ready to snag a pair like those coastal ladies. Next, check out the Carrie Bradshaw–approved shoes that always sell out.